Hello and Happy Valentine’s Day! 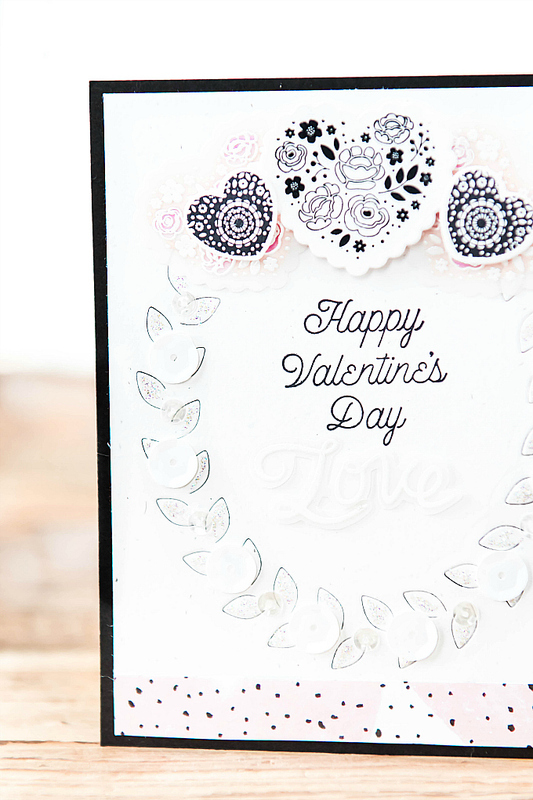 Today's card is all about adding a clean and simple background detail that is quick, yet still elegant. 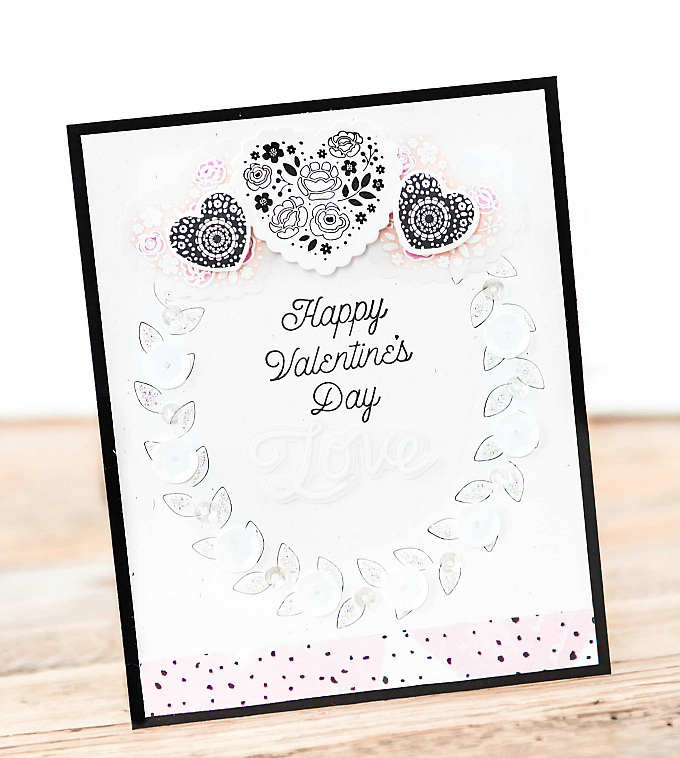 To help in that, I'm using the very special Oval Foliage die from Pinkfresh Studio. If you haven't seen this design yet, it's fabulous! It is not a traditional die, in the sense that it does not cut out the design entirely. It simply cuts portions of the design, so that it can be popped up, or used as a pretty background detail, like I've done here. If you are a CAS cardmaker, this is a really great addition. You can see another CAS card I've created with this die here. 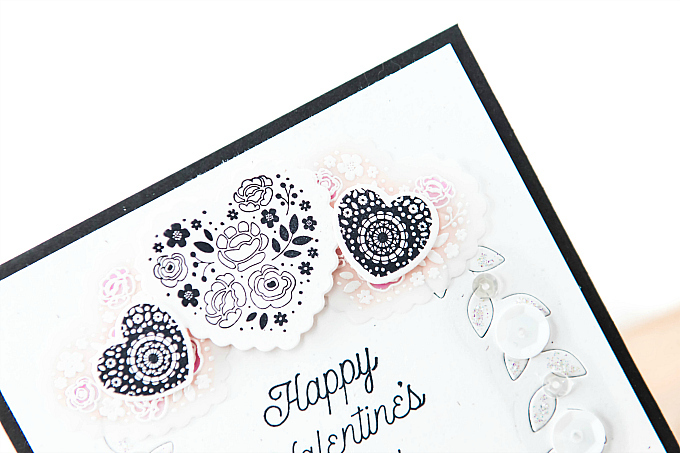 If you prefer more layered cards, it's still a great find, because popping up the little leaves adds so much pretty dimension, as in a card featured in this post. 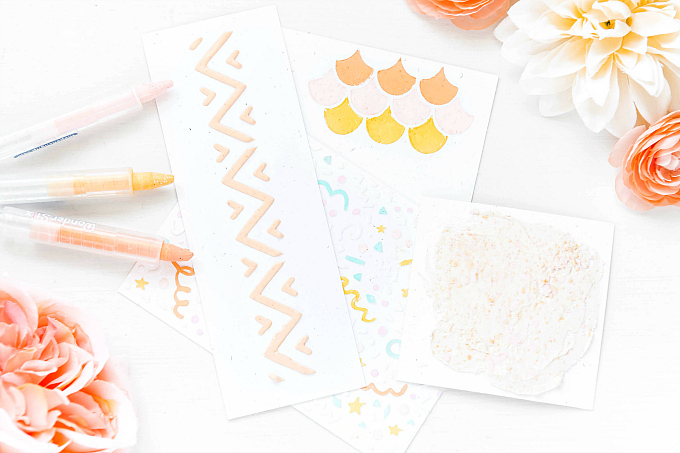 I've also included a few little favorite hearts, and I wrote an entire post a few days ago about how to get more value out of those adorable value stamp/die combos (which is what these are). Here, they've been stamped in black Archival ink as well as heat-embossed on some vellum. For the vellum bits, I added a tiny bit of Copic coloring on the back, to give the vellum a bit of pop. The sentiment is also from this stamp set, and it stamps so beautifully when used with the right ink! 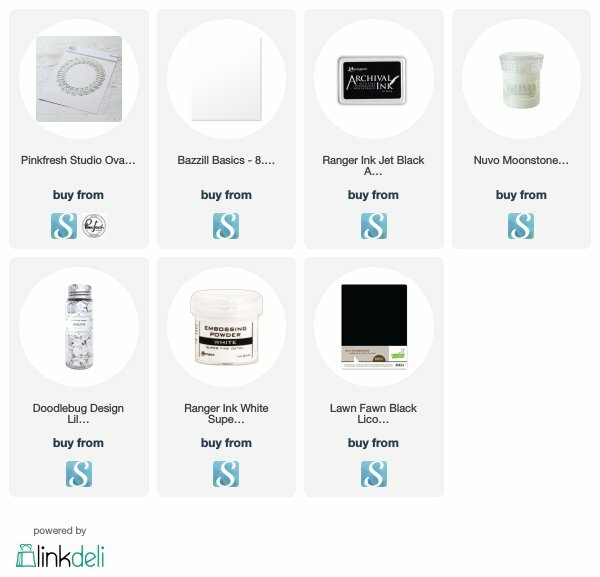 You can read more about which ink I recommend for value stamps here. Of course, I've also added the soft touch of background texture with the Oval Foliage die from Pinkfresh Studio, and a tiny strip of patterned paper at the bottom. I backed the whole card with black cardstock - an easy-peasy way to make the black accents stand out even more. Are you trying to find new ways to add simple backgrounds to your cards? If this technique inspires you, share it with us! This is ever so delicate and lovely! Happy Valentine's Day! Thank you so much, sweetie! Sending warm hugs! 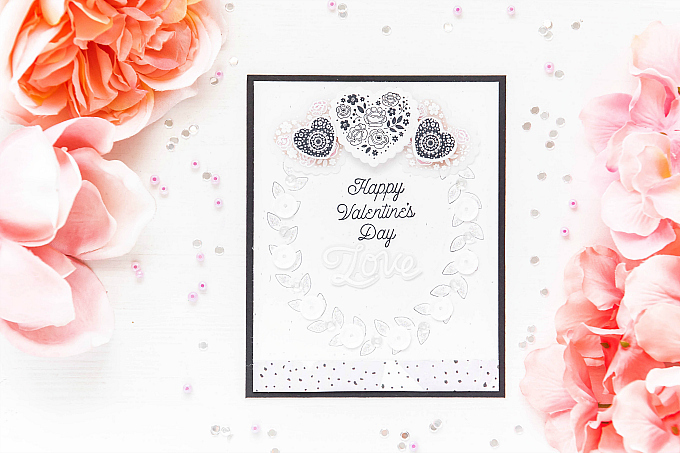 What a lovely Valentine Day design Ivana. 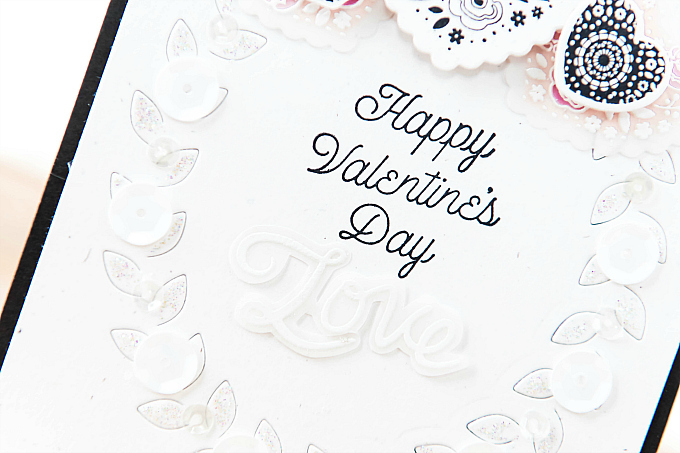 Just love all the time and effort for such a beautiful card! Awe thanks, Kirsty! I appreciate it so much! Sometimes I wonder if it's crazy to spend so much time on this hobby, but the heart loves what it loves :) Thanks so much for all of your sweet visits and notes!